We are aware that reporting on zany building in China is clichÃ©, but then it struck us: what if China wasn’t behind this after all? What if France was? What if it is an act not of banal facsimile, but one of pre-emptive preservation? Perhaps France is making a backup copy of itself. Emails circulated the architecture mail system several times over last year with pictures of Ronchamp sitting in the dusty Chinese city of Zhengzhou. An interesting novelty. But with a portion of Paris also turning up, a pattern is forming. Could China be the USB external hard-drive of the French built environment? Regular backing up of our data is a just a fact of life for most of us worried that we may lose important data. External USB hard-drives are being made for less and with higher capacities every day, such that the delete button is increasingly becoming irrelevant. So why limit our backups to data? China’s construction industry seems perfect for the task of backing up bricks rather than bits - cheap and powered by the brute force of sheer population. Copies of places may be made in a fraction of the time that it took to create them. If in the event of a catastrophic episode, the part of France in question could be restored and life would go on as it was before. 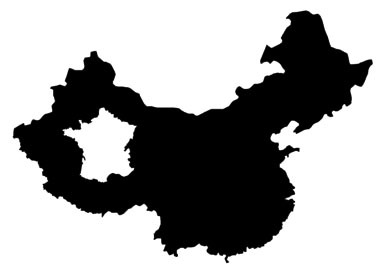 China: ample space for a spare copy of France.